Etobicoke Civic Centre Competition - PMA Landscape Architects Ltd. The Etobicoke Civic Centre design proposal introduces a unique architectural and landscape typology that is sustainable, flexible and for the people. By extending the plaza upwards to the roof terraces, we expand and integrate the civic square for the citizens in an open and flexible approach that is integrated into the architecture of the building. 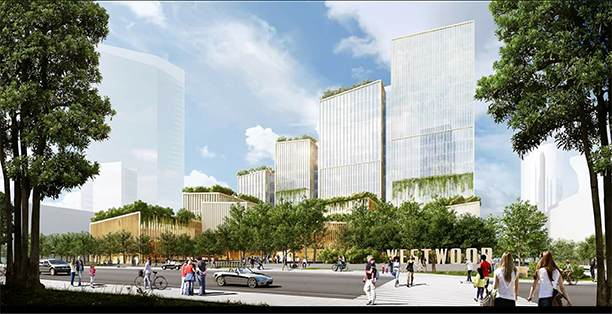 The plaza is decidedly urban while open green spaces are planned for the neighbouring properties that makes up the new district. Our winning team is led by Henning Larsen Architects and Adamson Associates Architects.